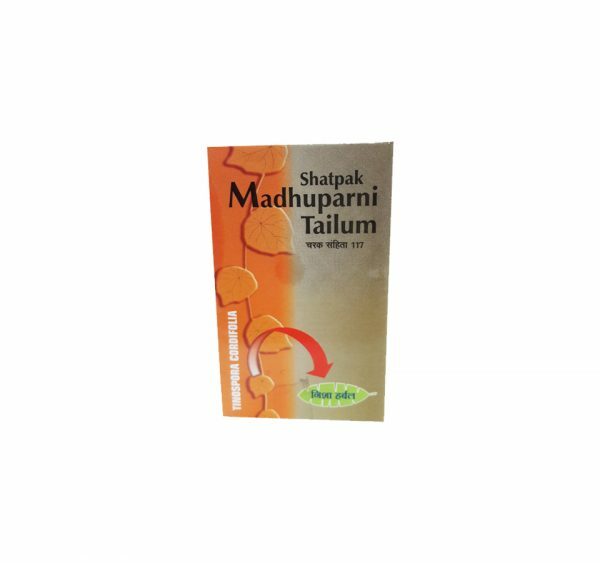 We have gained recognition as an eminent enterprise, devotedly engaged in offering a broad range of Madhuparni Tailum. 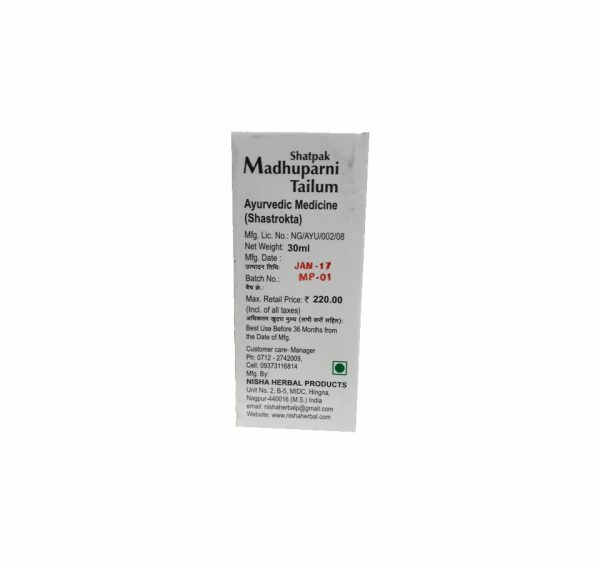 The offered medicine is suitable for treating skin disorder .We recommend this specially for psoriasis patients.ONLY 10 drops oil in to be taken along with half cup of water. We have gained recognition as an eminent enterprise, devotedly engaged in offering a broad range of Madhuparni Tailum. The offered medicine is suitable for treating skin disorder . 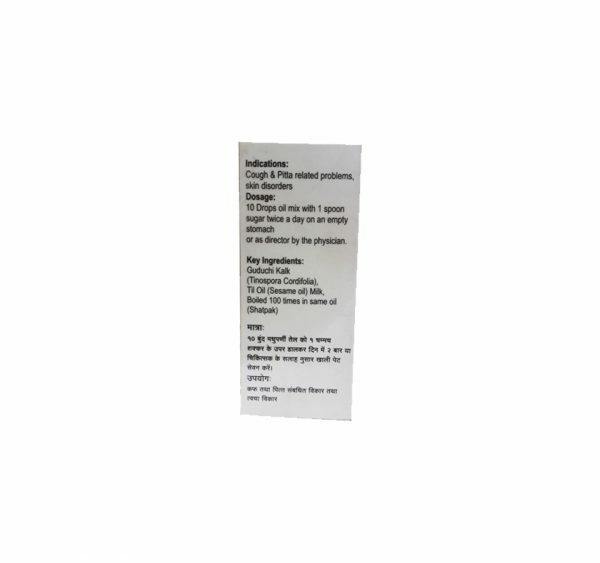 We recommend this specially for psoriasis patients.ONLY 10 drops oil in to be taken along with half cup of water twice a day . Improves skin softness, controles itch and flacks formation. Indications: SKIN DISORDERS , PSORIASIS, ECZEMA. Cough related problems, Liver & Sugar related problems, various skin disorders. course in every month for few months. Guduchi kalk (tinospora cordifolia), til oil (sesame oil) milk, boiled 100 times in same oil (shatpak).